With the dwindling population of black men and his habitat encroached upon (yes, we mean you, Jeremy Lin), superstar comic DL Hughley is determined to get federal protection for his species in this boundary-busting mockumentary – released wild and uncensored. Despite promises of a post-racial America in the age of Obama, things have not improved for African-Americans. Black households have lost 53% of their net worth in the recent recession, and one in three black men can expect to go to prison in their lifetime. Meanwhile, anyone that disrupts the habitat of the California tiger salamander gets slapped with a $50,000 fine. What would happen if black people had the same protection as salamanders? In this one-hour satirical mockumentary special, Hughley sets out to try to add “the black man” to the Environmental Protection Agency’s Endangered Species list. He travels across the nation gathering evidence and interviewing experts on race, religion, and politics in a quest to save his people. 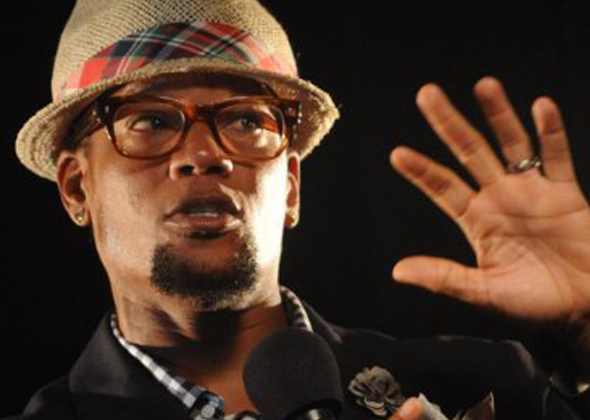 Throughout his journey, interspersed with segments from an all-new stand-up set, Hughley recruits a group of white sorority girls for support, seeks the counsel of a preacher, and tries to see eye to eye with a Neo-Nazi.